This has been a pretty snowy winter so far here in New Jersey, and I’m not complaining! 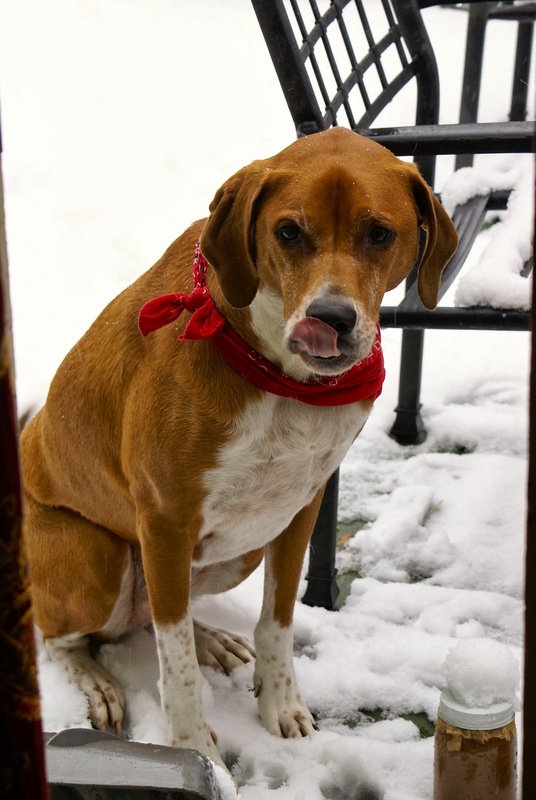 I love snow so the more, the merrier. 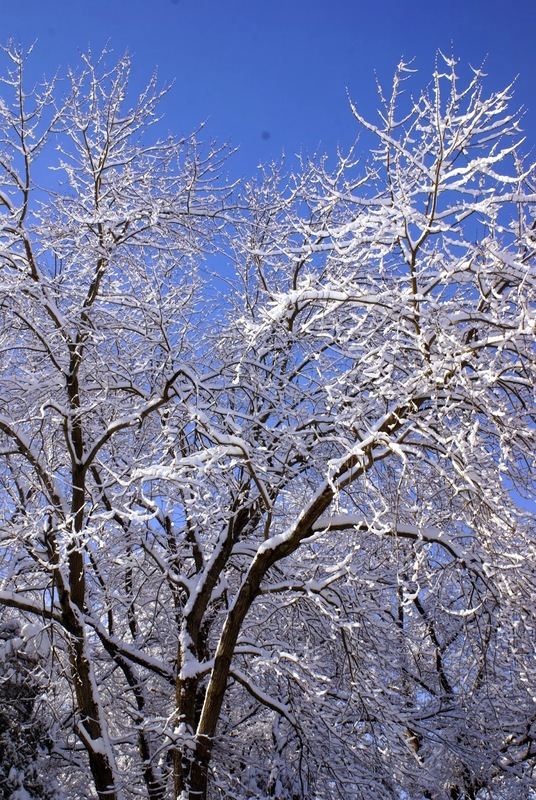 There is something magical about a snow covered world. Just look at this gorgeous view I woke up to yesterday! As we were pretty snowed in, I made myself a peanut butter banana buckwheat bowl and sipped coffee as I enjoyed the scenery. 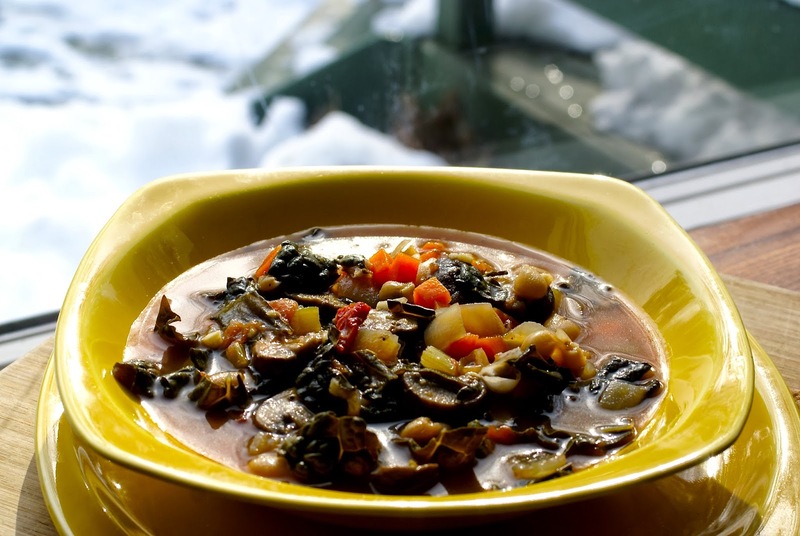 When lunchtime rolled around, I decided it was a soup kind of day, so I whipped up a batch of this tuscan kale soup. 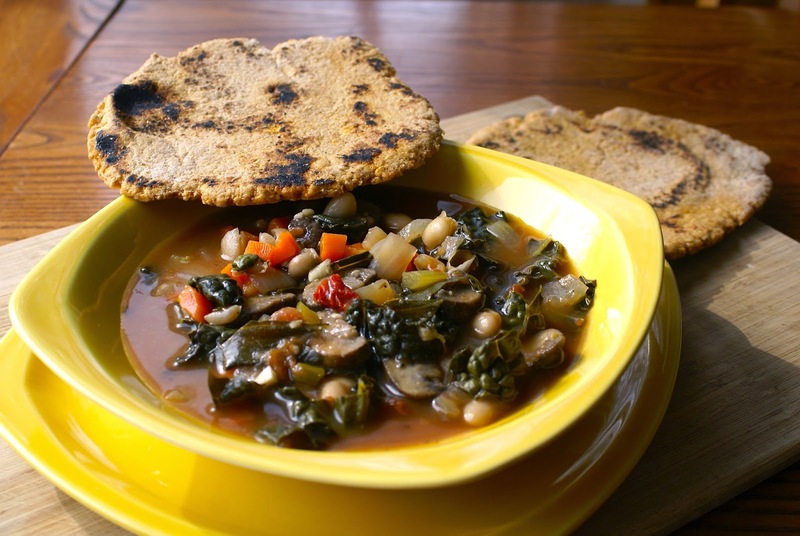 It takes less then twenty minutes to make and is packed with hearty beans and vegetables! 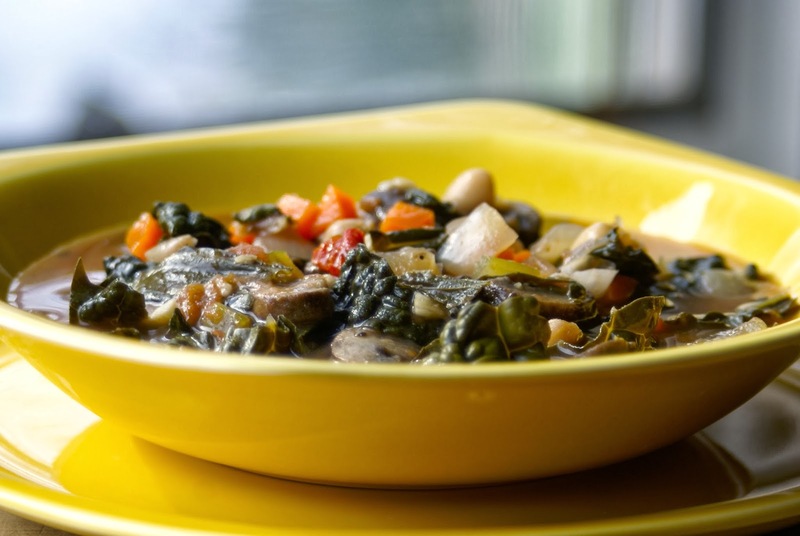 I really wanted to let the Tuscan kale shine, so I made it the main ingredient and accented it with sautéed mushrooms, onions, carrots, celery, and garlic. Diced tomatoes help marry all the ingredients while cannelloni beans add the perfect amount of heartiness without taking away from the overall flavor. I also love the soft texture of cannelloni beans and find they help make the soup creamy without adding any dairy. 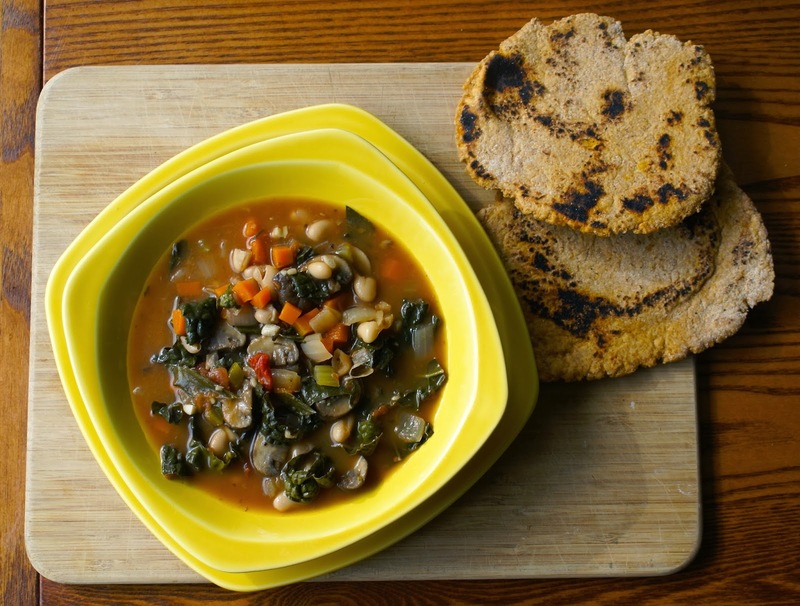 Although I usually cook my own dried beans, for this soup I use canned beans for three reasons. For one, I love the soft texture of canned cannelloni beans, something that I have never been able to do when I cook them. They either turn into mush, or are slightly al-dente. The second reason is I add the bean water that comes with canned beans to the soup and it helps spread the bean’s creaminess throughout the broth, which is delicious! Lastly, when I turn to soup as a fast lunch/dinner, opening a can of beans is much faster than soaking dry beans overnight and cooking them for 2-3 hours. Sometimes, convenience wins. The best way to eat this soup is with sweet potato naan bread. Ok, any whole-grain bread would do, but you really should try it with my sweet potato naan bread slathered in coconut oil. Ahhhh I’m getting hungry just thinking about it! Adding the bread gives this dish the perfect amount of sweet, savory, and salty. When I make soup, especially in the winter, I usually make a double batch and keep some in the freezer portioned into bags so I can just grab a bag, heat it up, and am good to go! 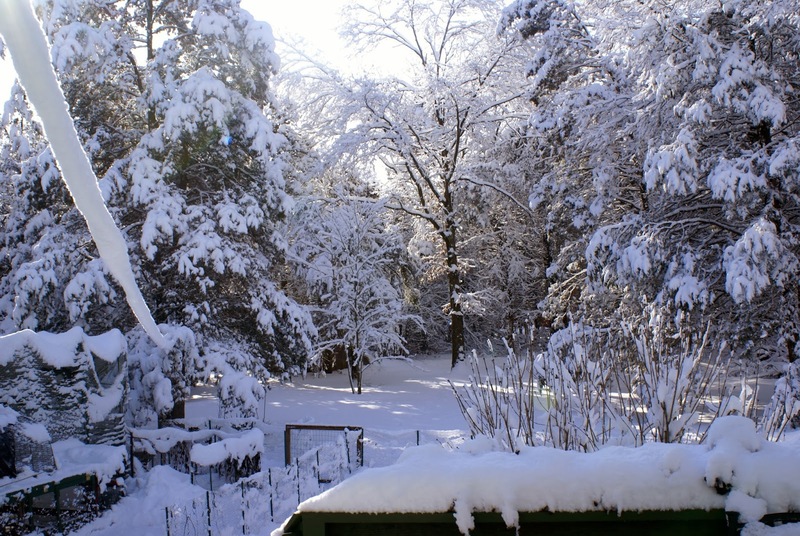 This is where snow is amazing because it acts as a second freezer when yours is full. 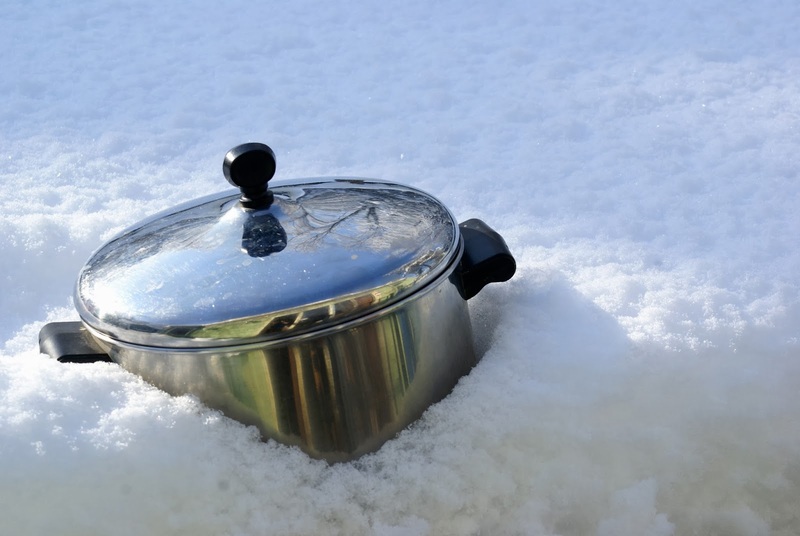 Simply stick the pot of soup in the snow. I love nature 🙂 I hope you all are staying warm and making plenty of good food to get through this snowy winter. 1. In a pot, heat oil on medium heat and add the onions, carrot, celery, and mushrooms. Saute for about 5 minutes and add the garlic. Saute another minute. 2. Add the oregano, sage, and diced tomatoes. Saute about 30 seconds, then add the broth. Turn the heat to high and bring to a boil. 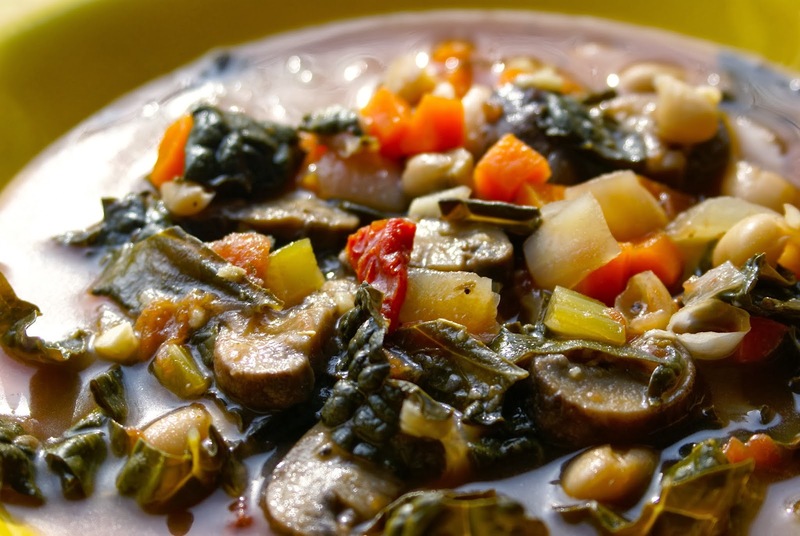 Once boiling, add the kale and the cannelloni beans (including the liquid) and turn the heat down to low and put a lid on pot. Let cook about 5 minutes, or until kale is tender. Season with black pepper and crushed red pepper and serve hot with your favorite bread.